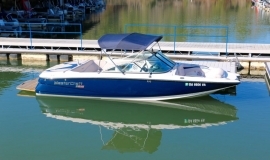 Our Mastercraft Ski Boat Rental is a true inboard V-drive ski boat! 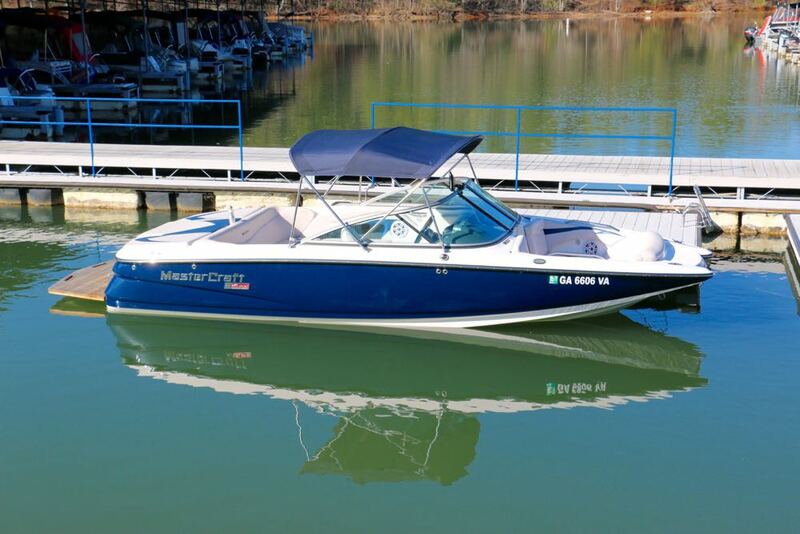 With seating for 8 people, there’s plenty of room for the whole family for a day of watersport on Lake Chatuge. 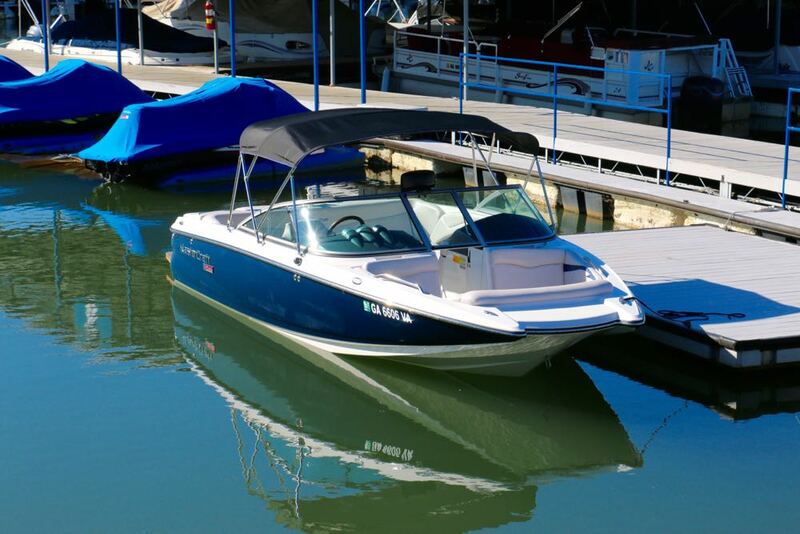 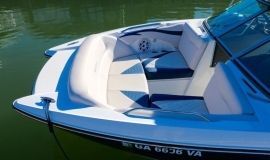 Powered by a 310hp V8, these ski boats have plenty of power for slalom skiing, wakeboarding, kneeboarding, or tubing. 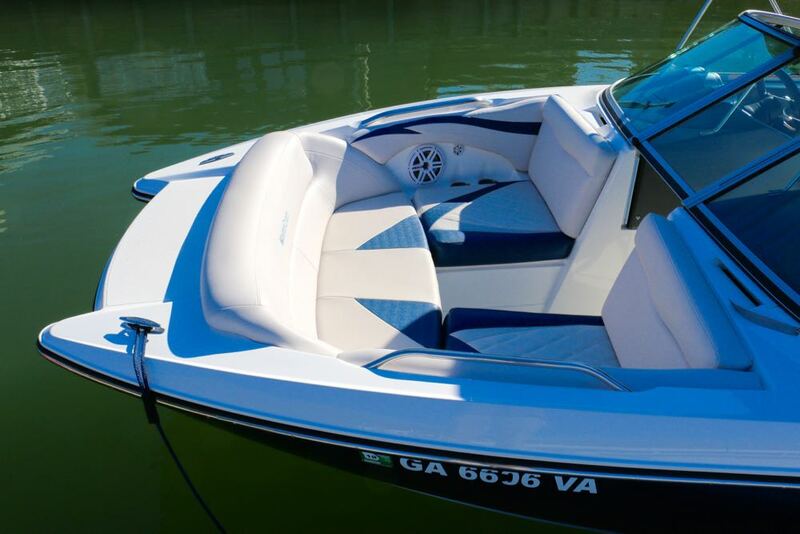 With higher power, this boat will pop up a skier easily, but it will also consume more fuel than our Chaparral ski boats. 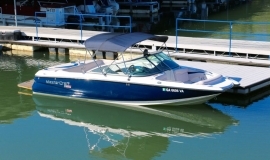 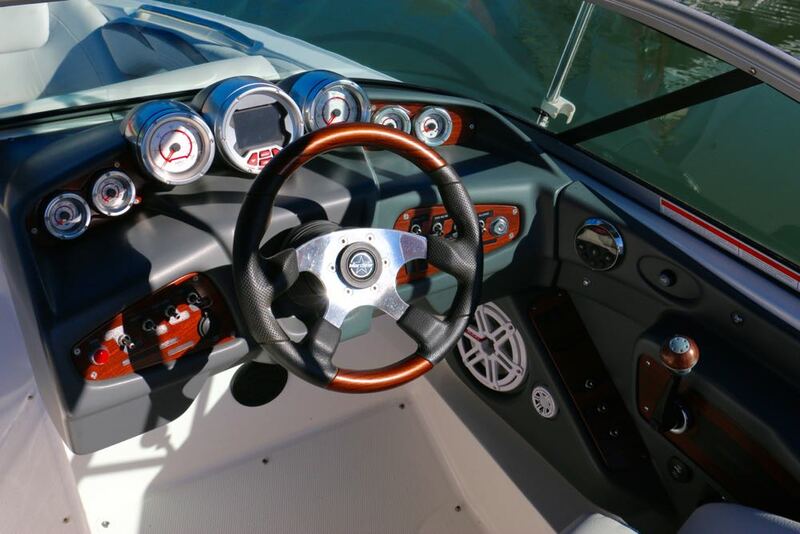 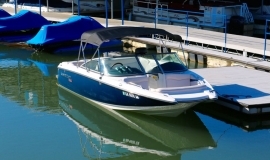 Other features include a bimini top, premium stereo with Aux. 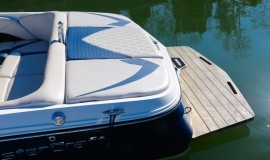 cable, and a full rear swim platform. 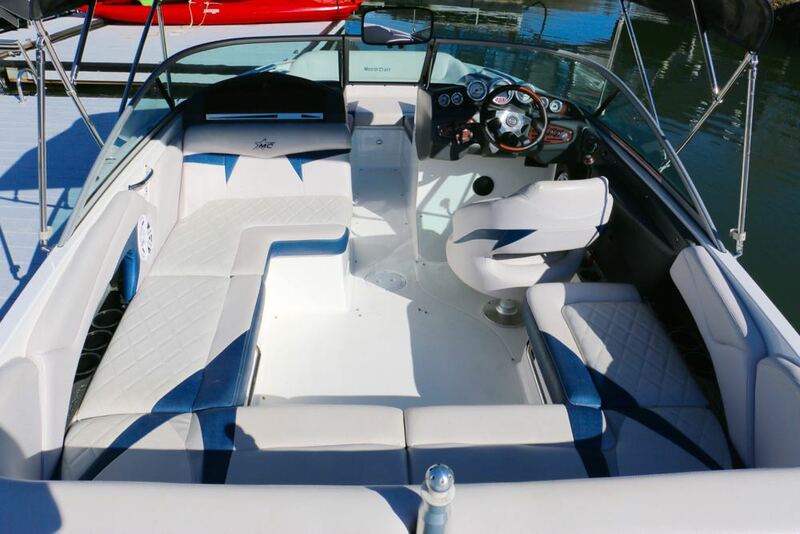 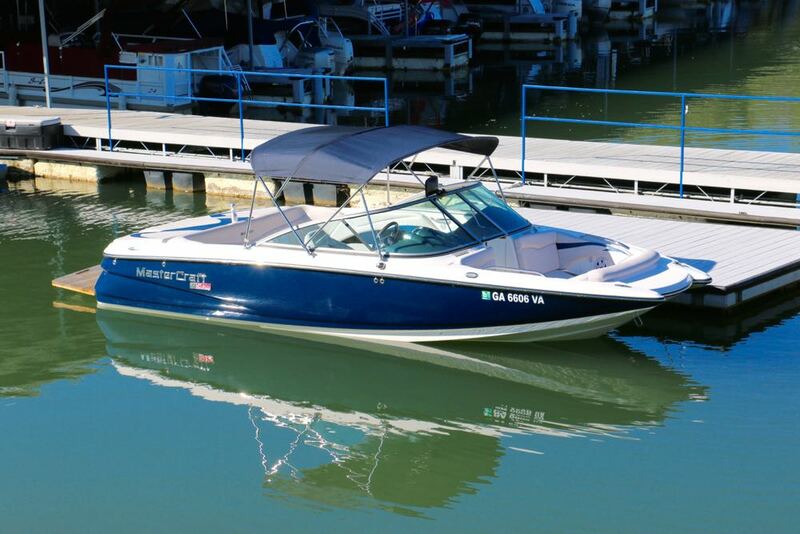 This Mastercraft Ski Boat Rental is a dedicated watersports machine that is also a lot of fun just for cruising.